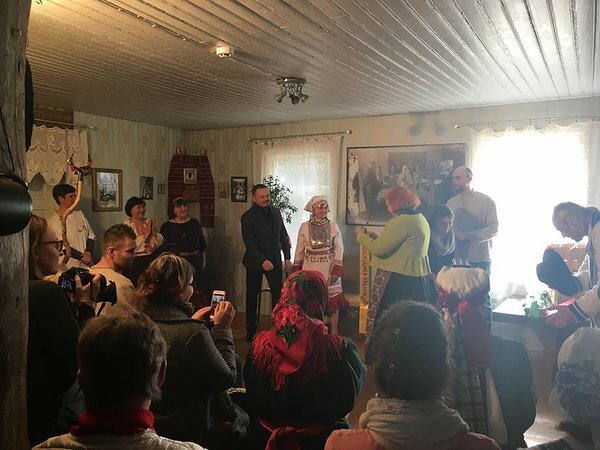 On April 8, the winner of the Finno-Ugric Capital of Culture 2019 competition was announced in Obinitsa (Setomaa, Estonia) during the 2nd Forum of Finno-Ugric Villages. The next Finno-Ugric Capital of Culture will be Shorunzha village from Mari El Republic of the Russian Federation. The other two finalists of the competition were Arkhangelskoye village from Komi-Permyak Okrug of Perm Krai (Russian Federation) and the town of Zirc from Hungary. Shorunzha village, located in the Morkinsky District of the Republic of Mari El, is home to 1040 residents, 97% of whom are ethnic Mari. With the Finno-Ugric Capital of Culture year, the municipality of Shorunzha aims to raise awareness of the Mari people and culture across the Finno-Ugric world, to upgrade and popularize cultural heritage sites on its territory and to develop cultural tourism. The official programme of the Finno-Ugric Capital of Culture 2019 year will include at least 12 thematic events attracting over 10 000 visitors. The flagship event of the year will be a festival of Finno-Ugric wedding customs “Suan Pairem”, to be held on June 12. The application of Shorunzha was endorsed by the Ministry of Culture of the Republic of Mari El, Mari Association “Mari Mer Kangash” and several regional and local institutions. Handover of the title of Finno-Ugric Capital of Culture 2019 by Kauksi Ülle, member of the jury. According Erik Yuzykayn, member of the Shorunzha delegation, the title of Finno-Ugric capital of culture is very important for the Mari people, “To be a centre of Finno-Ugric cultural life is a great honour and even greater responsibility which is why we must respond to this challenge”. The programme bureau of Finno-Ugric Capital of Culture expects to work closely with Shorunzha to implement the objectives of the year, by building on the experience of previous capitals of culture and by contributing to the long-term sustainability of the programme. 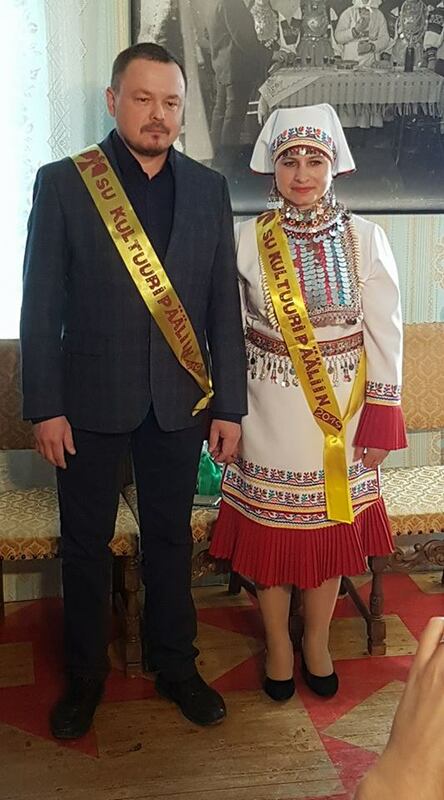 According to Oliver Loode, Head of the Programme Bureau of Finno-Ugric Capitals of Culture, "We expect 2019 to become a celebration of Mari culture for the entire Finno-Ugric world and beyond, but also to present the cultural diversity of Uralic peoples to audiences in Mari El Republic in new and innovative ways". Finno-Ugric Capitals of Culture is a joint initiative of the Youth Association of Finno-Ugric Peoples (MAFUN) and URALIC Centre for Indigenous Peoples (MTÜ Põlisrahvaste Arengu Keskus). The programme aims to raise awareness of Uralic peoples and languages, strengthen Finno-Ugric identity and stimulate local development in the Finno-Ugric world. To date, the title of Finno-Ugric Capital of Culture has been awarded to five villages or cities: Udmurtian village of Bygy (2014), Seto village of Obinitsa (2015), Hungarian village Iszkaszentgyörgy and City of Veszprém (2016) and Karelian village of Vuokkiniemi (2017). Finno-Ugric Capitals of Culture has been acknowledged as a good practice of promoting cultural rights of indigenous peoples, including by Ms. Victoria Tauli-Corpuz, the UN Special Rapporteur on the Rights of Indigenous Peoples. The competition of Finno-Ugric Capital of Culture 2019 was supported by Estonia’s Kindred Peoples’ Programme and is part of the Estonia 100 programme. Dina Pavlova and Erik Yuzykayn of the Shorunzha delegation.